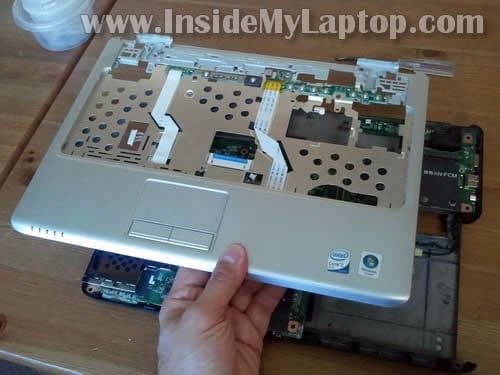 In this guide I explain how to disassemble a Dell Inspiron 1420 or Dell Vostro 1400 laptop. I will completely disassemble it and show how to remove the motherboard. 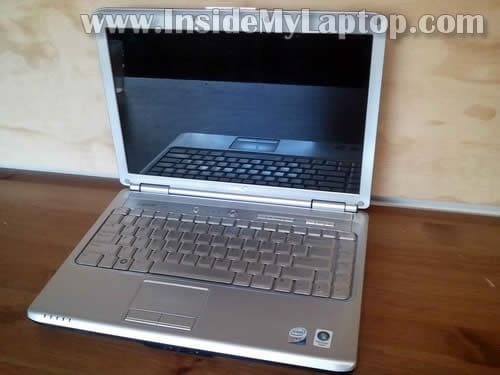 Dell Inspiron 1420 is very similar to Dell Vostro 1400. If there are any differences, they should be very minor. Loosen eight screws securing the hard drive, memory and heat sink covers. 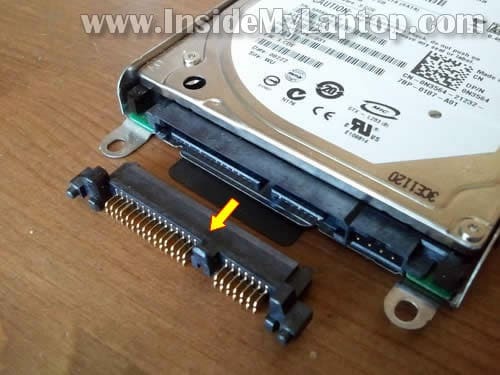 Lift up the hard drive assembly by the black tab to disconnect it from the motherboard. 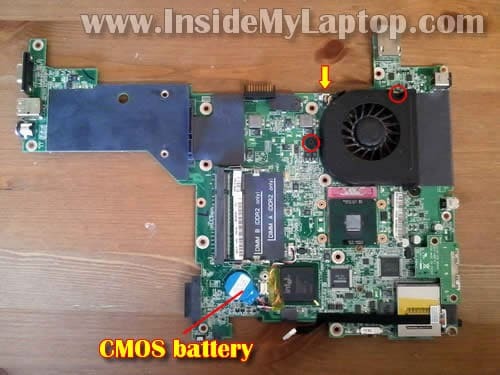 The hard drive connected to the laptop motherboard via connector. 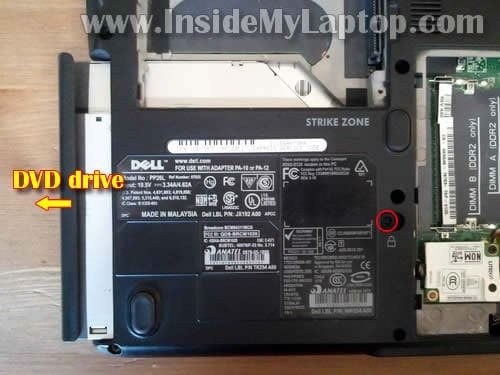 Dell Inspiron 1420/Vostro 1400 uses a regular 2.5″ SATA hard drive. Both memory modules can be accessed on the bottom. 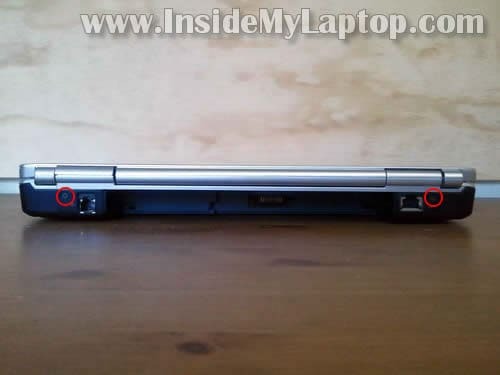 Dell Inspiron 1420/Vostro 1400 can handle up to 4GB RAM. You can install up to 2GB RAM module into each slot. You should use PC2-5300 DDR2 or faster DDR2 memory modules. Carefully lift up the heat sink and remove it from the motherboard. If the heat sink is clogged with dust you can clean it with compressed air. NOTE: before installing the heat sink back on the motherboard don’t forget to apply new thermal grease on the CPU. After the heat sink is removed, you can access and remove the CPU (processor). In the following six steps I explain how to remove the keyboard. 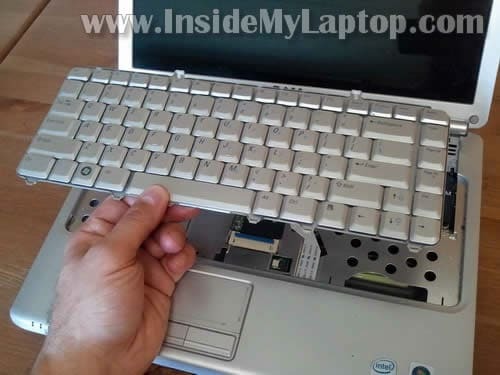 Carefully lift up the right side of the keyboard cover with a screwdriver. Lift up the keyboard so you can access the cable connector underneath. You can remove the keyboard only after the connector is unlocked and cable released. In order to unlock the connector lift up the right side of the blue locking tab at a 90 degree angle. In the following eight steps I explain how to remove the display assembly. Remove two screws securing display hinges on the back. Lift up and unplug the video cable connector from the motherboard. Remove one screw securing the 7-button board and remove the board. You do not remove the board completely, you just put it aside so you can remove the wireless card antenna cables. Disconnect both wireless card antenna cables from the wireless card. 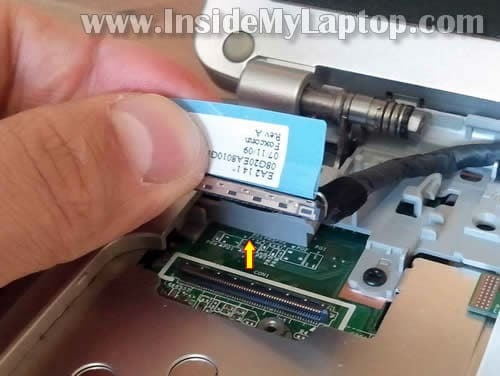 Now you can remove one screw securing the wireless card and pull it from the slot (optional step). 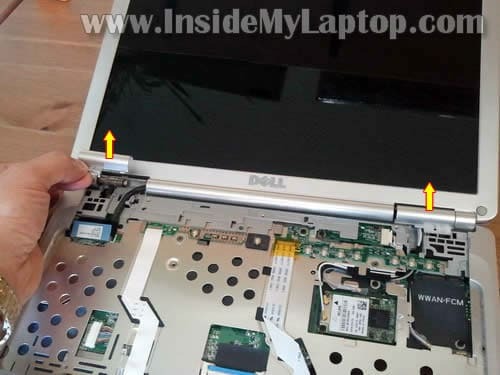 In order to remove the LCD screen you can follow this Dell Inspiron 1520/Vostro 1500 guide. It’s a different model but LCD screen removal steps should be very similar. 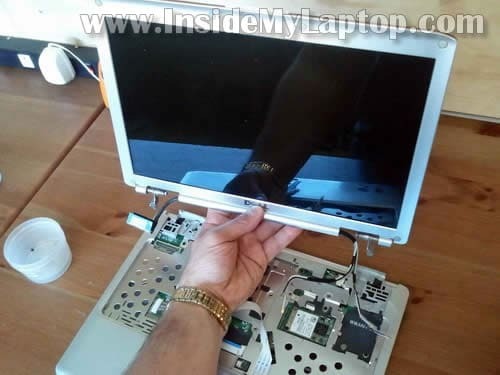 By the way, the screen can be removed and replaced while the display still attached to the laptop base. In the next eight steps I explain how to disassemble the base and remove the motherboard. In order to remove the motherboard, you’ll have to remove the modem card first. Remove one screw securing the modem card, disconnect modem cable from the left side and remove the modem. 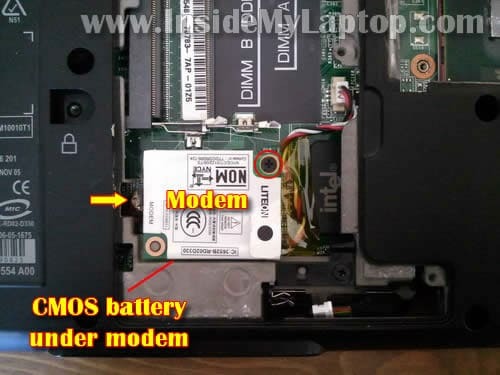 By the way, the CMOS battery is hidden under the modem. There is one more cable on the bottom which has to be disconnected. 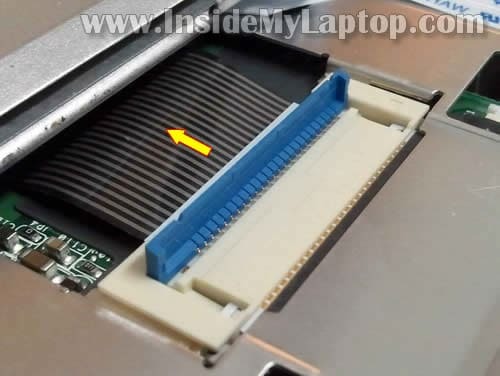 On the other side of the motherboard you can access and remove the cooling fan. Simply remove two screws securing the fan, disconnect the cable and remove the fan. I spilled cola on the keyboard and repair shop said it will be over $100 to install a new keyboard. I found a new keyboard on ebay for $15 and installed myself in 30 minutes. 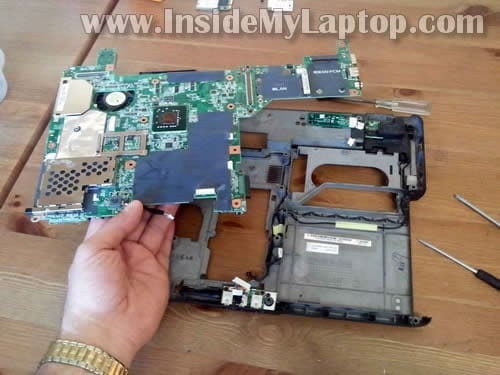 i have disassemble my dell vostro 1400 laptop. all parts are separated but now i don’t know how to re assemble. can you help me how to re assemble????????????? Thanks for this great blog folk! 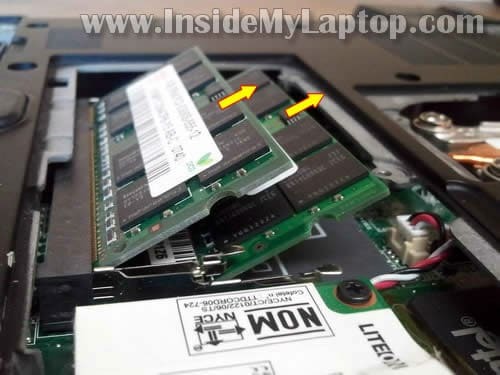 Can you install a faster graphics card into the inspiron 1420? 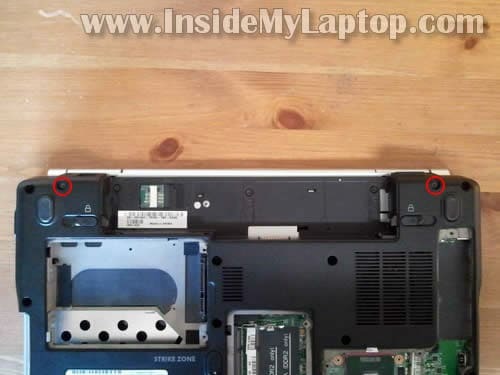 secondly, the reason i disassembled the laptop was coz my laptop’s stopped working 2 days back…when i hit the power button only the power light comes up for 5-6 seconds and then turns off…and there is no other response from the laptop, even the fan isnt working…i’ve been having this problem since the past 2 months or so. before the same thing used to happen but when i left the computer aside and tried again after a few hours it used to start working fine with no probs…but gradually the problem increased and now its been two days since its not working. hi Samdev, we have the same problem… sometimes it bootup then after i shut it down it wont bootup again… when i presse the power button, i can only see lights from power led and wifi/bluetooth then turns off… is this a thermal problem??? please help! i’ve got problem when i want to turn on,just come out only light..after that,that light will turn off back..it cannot open the window..please help..
i’ve got problem when i want to turn on,just come out only light..after that,that light will turn off back. It’s possible the laptop doesn’t work because the AC adapter is dead and the battery doesn’t have enough charge to start the laptop. I would test the laptop with another working AC adapter first. nice dude..just want to ask,i had a prob with my inspiron 1420..when i turn on evrything is fine,fan ok,harddisk also ok cause i already try at another laptop but my monitor not show any display just blank black lcd..bios also not display when i connect it to external monitor also cannot use..did someone here know about my laptop problem..i dont know is mothrboad problem or anything else and if mothrboad problem,how much for the new one or 2nd hand motherboard,. Sorry for my broken english..thank you..
First, I would check memory. Could be faulty memory module. You have two memory modules installed, right? Try removing them one by one. 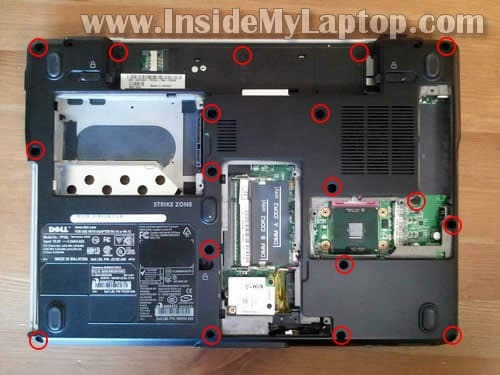 Test the laptop with each module separately. 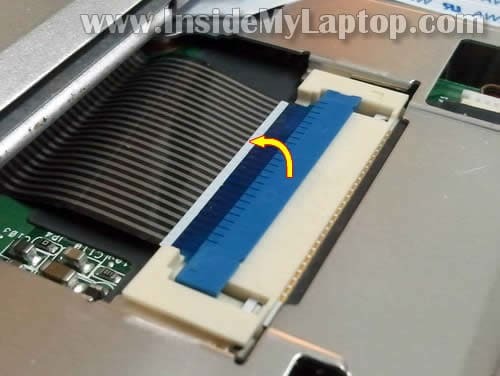 i gave my laptop for service and got it back , gave the same to other center and he diagnoised one part of heat sink is missing in my lap top vostro 1500, i am using nvidia graphics card , but in the above description i am able to see only one part of the heat sink. why is it so?? 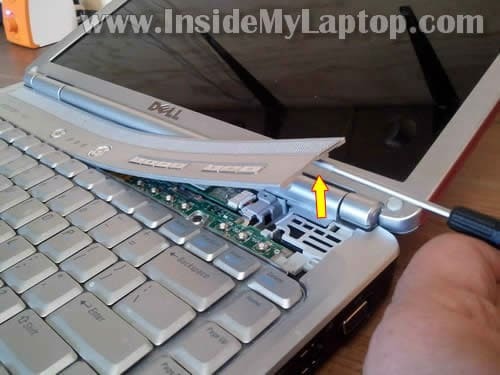 Every laptop will defer on the components? can i buy generalised heat sink online and fit the same? I have a DELL Vostro 1500 laptop. The warranty is expired. It came with Windows Vista which I later upgraded to Windows 7 ultimate. A few days back, the sound stopped working. Neither the in-built speaker nor headphone produced any sound. I tried re-installing the sound drivers but in vain. Then I tried an external USB sound adapter, now the headphone or external speakers are working fine, but not the inbuilt speakers. How do I fix this problem ? Can I replace just the sound card (if there is any) or do I have to replace the whole mother board ? Can I replace just the sound card (if there is any) or do I have to replace the whole mother board ? 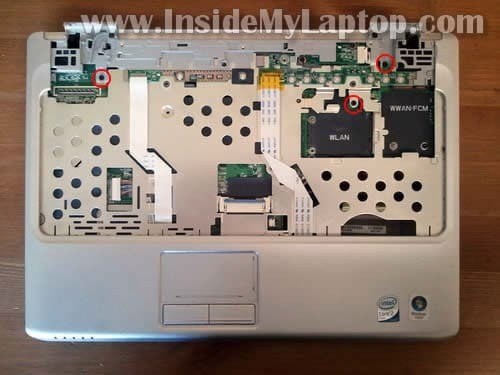 Dell Vostro 1500 laptop doesn’t have dedicated sound card. It’s built into the motherboard. If the sound card failed, you’ll have to replace the entire motherboard. First, I would try reinstalling Windows OS from scratch. It’s likely your problem is software related. Sometimes reinstalling audio drivers cannot fix the problem but reinstalling the entire OS might help. By the way, you should be able to test sound if you boot your laptop from Ubuntu OS (live Linux CD). If sound works in Ubuntu, it’s definitely Windows OS related problem. Great tutorial! Thanks so much for taking the time. 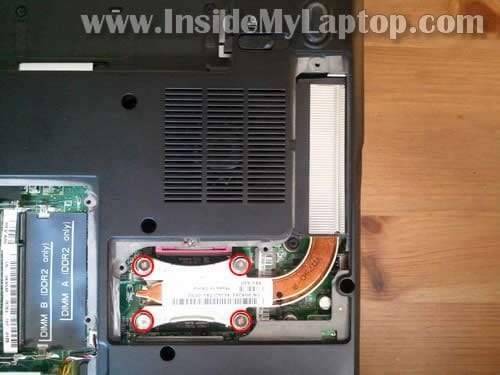 I just fixed my own noisy fan (and learned a lot about the inside of a laptop) thanks to you. I appreciate it!!! Can i install win 7 on my vostro 1400. Previous using windows vista. I hv problem with the keyboard when i key in something ….then the sign of this \\\\\\\\\\\\\\\\\\\\\\\\\\\\\\\\\\\\\\\\\\\\\\\\\\\\\\\\\\\\\\\\\\\\ appear non stop. Can someone tell if this bcos of virus or keyboard problem….thanks you. I checked Dell website and for Dell Vostro 1400 they have drivers only for Windows XP and Vista 32-bit. It’s possible that Windows 7 has all drivers for your laptop but you’ll have to try. Most likely this is keyboard related failure. I think the “\” key stuck. Here’s what you can try. 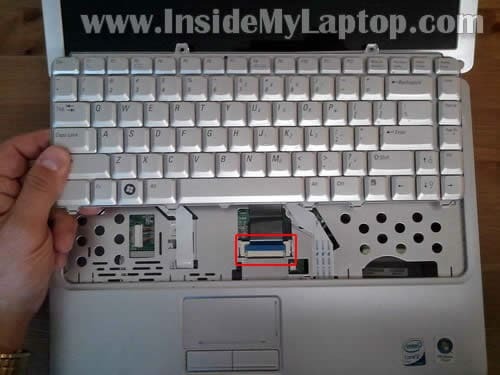 Disconnect the laptop keyboard from the motherboard and test your laptop with an external USB keyboard. 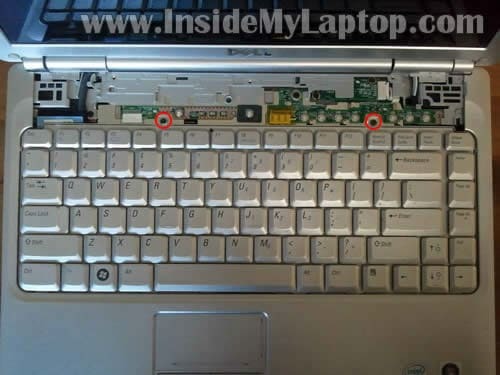 If the laptop works properly with the external keyboard, your internal keyboard is defective. Replace it. You cannot fix individual key. Thanks for work well done. I need a little help here. 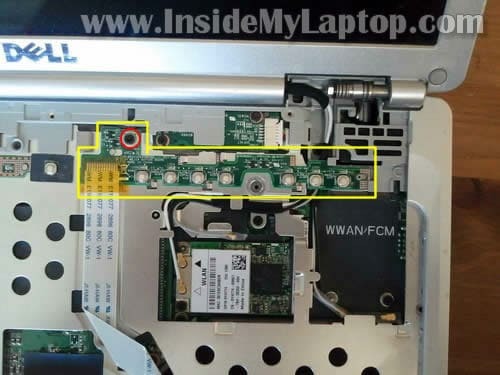 Could not locate where the bluetooth connector plugs underneath on the motherboard. Can you help please. Thanks. Thanks so much for the guide! I ‘ve just cleaned my old laptop without any problems. Great tutorial! 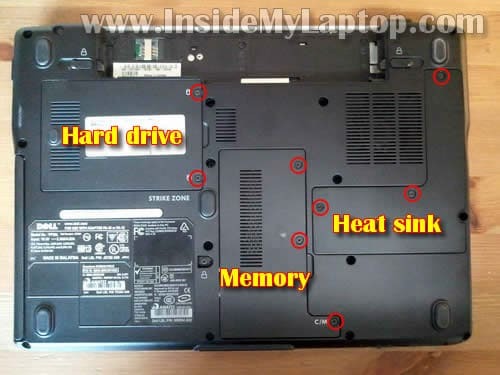 I have recently put in a T8300 processor inside my Inspiron 1420 in place of the older T5xxx, using a bit of Deepcool Z5 thermal paste in the process for reseating the heat-sink. I have upgraded the HDD to 1TB, and the RAM to 4 GB. The laptop runs quite cool, and is adequate for most part of my day-to-day requirements. Its cosmetics are still good after seven years of use. Of late, I am seeing some dust accumulating inside the (1280 x 800, matte) WXGA LCD screen, i.e., between the outer plastic layer, and the actual LCD panel. Any tips on how to address this issue? Thanks for great guide. I could rech and clean properly the fun blocked by dust on my DELL Vostro 1400. But after assembling speakers not working, headphones out is OK. So I suspect bad connection somewhere ore I forgot to connect something?